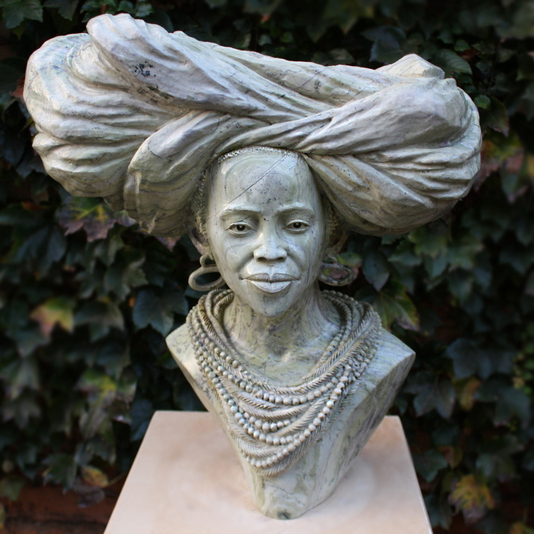 Ukama Gallery hosts a new edition of “Cultural Connections”, a special exhibition that includes live sculpting demonstrations by Patrick Sephani, offering a rare intimate window into the art, history and traditions of the contemporary Zimbabwean Sculpture Movement. Works from the renowned Tandi family and other master carvers will be on display, offering exceptional examples of modern realism in the Zimbabwean fine art tradition. The realist motif is expressed in nuanced busts and animated natural figures of extraordinary detail and sensitivity. These carvings bring exotic variegated hard stones such as butterjade and verdite to life, in sculptures that are emblematic of the exceptional artistic achievements of the world-renowned artistic community in Zimbabwe.